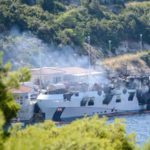 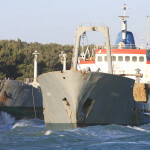 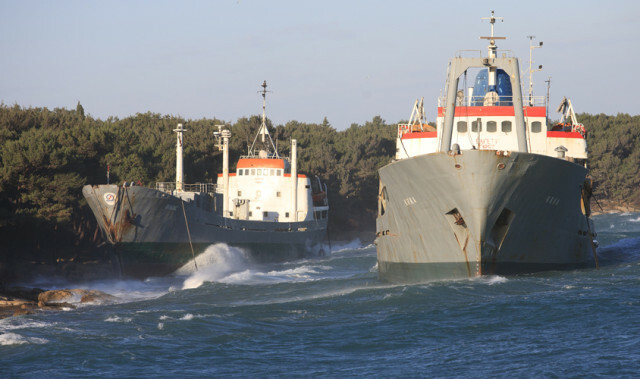 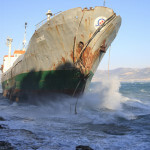 Three laid-up cement carriers broke their moorings and blown ashore during a bora at Split, Croatia. 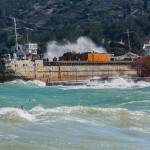 The 94 meter long, 1375 dwt Vranjic, 1508 dwt Orebic and 66 meter long, 1392 dwt KRKA had been laid-up when heavy seas caused by strong wind gusts caused the vessels to break their moorings. 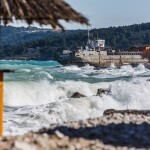 The KRKA and Orebic washed ashore on Marian beach while the Vranjic ended up at Slatina. 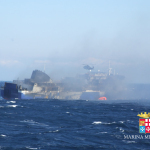 No reports of injuries as all three vessels were unmanned. 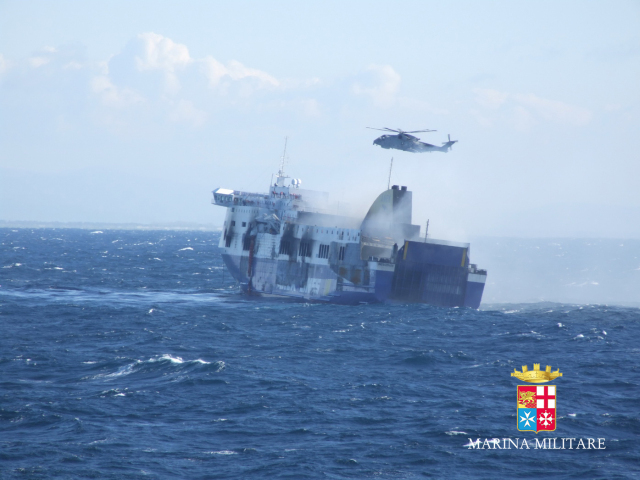 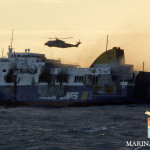 Reports state that the bora recorded gusts reaching 216 km / h.
There is still some confusion about how many survivors were rescued and how many are still missing from the ro-ro ferry Norman Atlantic. 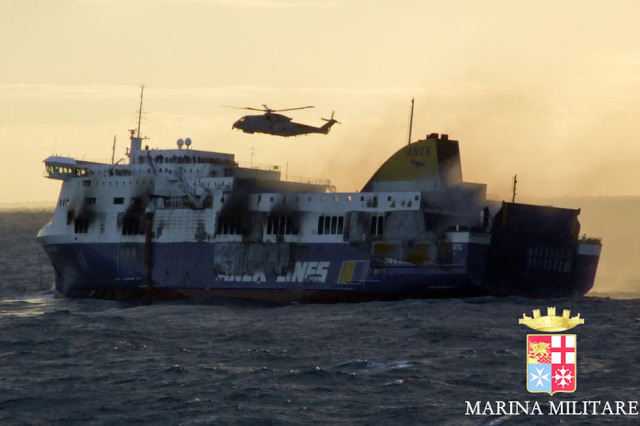 Authorities stated that 400 people were rescued from the ferry, but some of those rescued were not on the vessel’s passenger list. 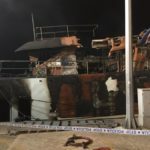 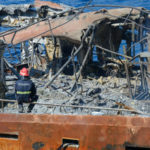 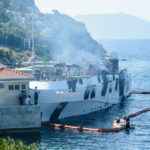 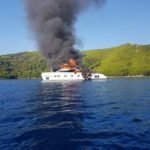 Some news agencies report that could be upwards to 38 people still missing and could have perished when smoke and flames trapped them below deck. 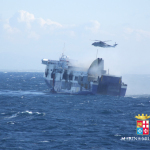 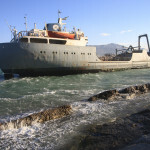 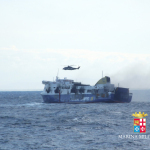 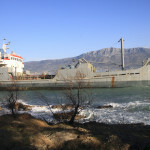 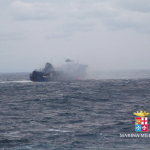 Reports do confirm that a lifeboat was launched with 49 persons which was picked up by the cargo ship Spirit of Piraeus. 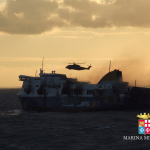 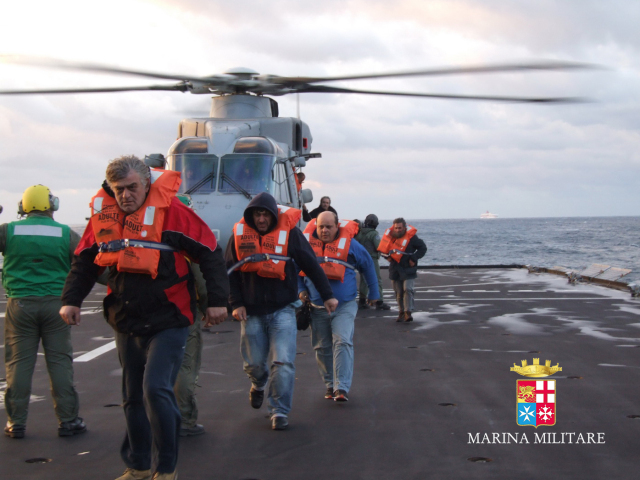 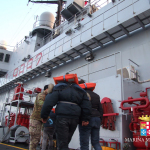 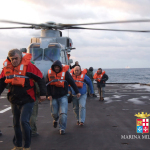 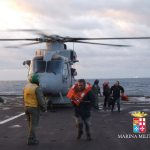 The vessel arrived in Bari with the survivors. 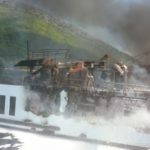 Reports state some were taken to hospital for treatment for hypothermia, carbon monoxide poisoning and burns. 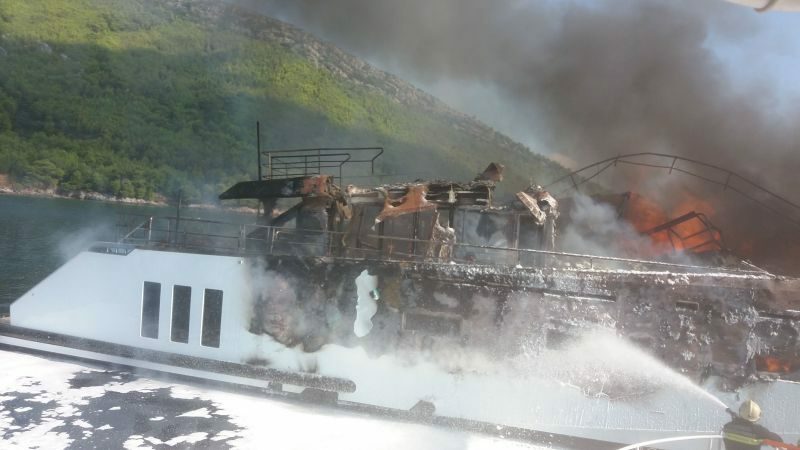 Reports state the death toll from the fire reached 10 people as nine bodies were recovered from the sea.